The most efficient heavy duty door opener in the world. The operation is silent, simple and quick, opening in one sole movement high resistance doors. Once installed, if necessary, the DOOR RAIDER may be remote control operated. Three ram extensions are included in the kit and can be used in any complicated situations, like steps in front of doors. Door breaching is achieved progressively, without impact and in optimal silence, whatever the operation mode used; remote control or manual. Rubber bearings situated at various points on the tool, reduce the noise level to a minimum during operations. 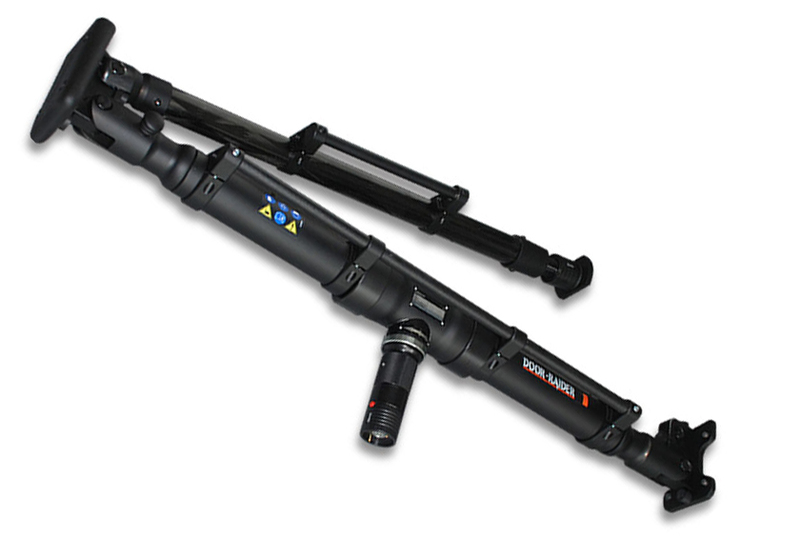 The GHP hydraulic power unit on the DOOR RAIDER is powered by a 12V battery that can last for approximately 30 minutes, which means that a great number of doors may be opened before re-charging is necessary. For more specifications including technical drawings, images, and videos please contact us. For more information about the Libervit DOORRAIDER including technical specifications, videos and other material, please contact us by completing the form below. 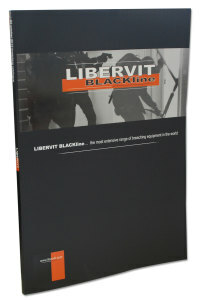 Get the latest version of the Libervit Blackline Catalog here! Already convinced? And want to have a quote?